An automobile accident can turn your world on its head in a few short moments. However, as bad as the initial accident might be, failing to take the proper steps in the minutes and days that follow can make the situation worse. Taking the time to learn the correct way to respond to a car crash may help you prevent any unnecessary complications. 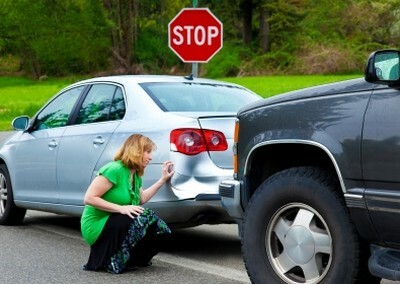 It is important to file an accident report in a timely manner. In many cases, the report will be filed on the scene with the responding officer. If for any reason, this is not done, you should contact the highway patrol or sheriff’s office as soon as possible. Knowing which information to gather can be a little confusing if you’ve just experienced a car accident. Some legal companies offer printable cards that you can keep in your car that make collecting the right information less confusing. In addition you should take pictures of any vehicle damage or physical injuries if possible. These pictures could prove to be very important in the event that you need to seek damages from an insurance company. It is all too common that people will arrive home from their accident and start informing their friends online about what happened, but you should be very careful. While it’s usually okay to let close friends or family members know that you were in an accident, you should avoid sharing any specific information with anyone but your lawyer or physician. You should also take care not to sign any official or unofficial statements or documents without a lawyer present, or before giving your legal representation time to review it. You would not be the first to accidently incriminate yourself, or give the other individual’s insurance company grounds to withhold damages that you deserve as a result of signing the wrong line or uttering a seemingly innocent statement. Although this is one of the most important steps that you should take following an accident, it is rarely the first that occurs. Contacting an experienced lawyer as quickly as possible can be a great way to make sure that you don’t forget to gather any crucial information, seek the necessary medical attention, and aren’t instructed to sign anything that might cause problems in the near future. Hiring a personal injury attorney can help you avoid common mistakes related to car accidents. If you experience a car accident, taking the correct steps in the minutes and days following can help you avoid the most common pitfalls. Even if you have not been in an accident, taking some time to decide what lawyer you will call should an accident occur could help you save a lot of time and frustration later on.